Do you think the garden is a safe place? Without a bit of care, it can be very easy to injure yourself in the garden. But, I am getting ahead of myself, let me begin the story properly. The first time I opened my garden was five years ago. 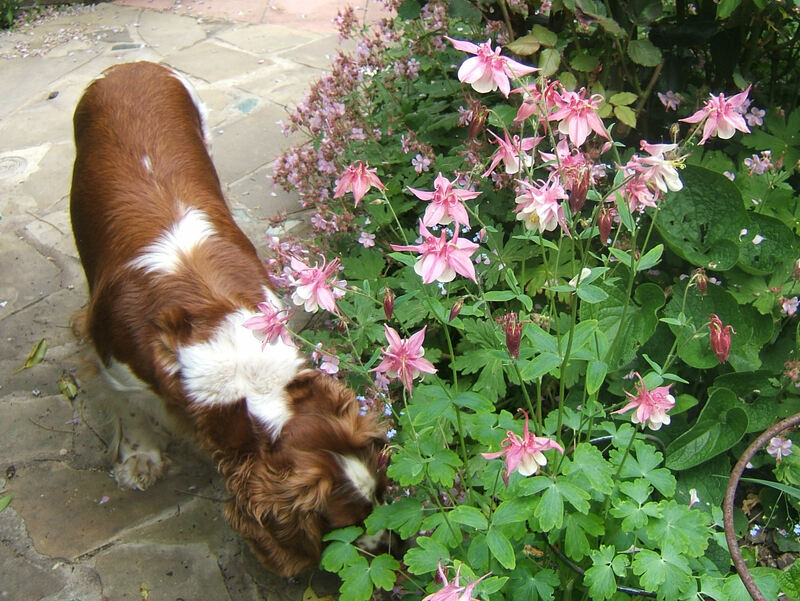 I had been writing gardening articles for “Dog World” newspaper and I thought it might be nice to meet some of my readers. So I decided to open the garden for the three days of our local Championship show so that people could visit after showing their dogs. The show is in August, so it was much harder to keep it looking good than when I now open in June. It was a hot sumer and I had to water like mad to keep plants looking like they were happy with life. I often prefer to use a watering can rather than the hose, but with the amount of watering, I got lazy and started filling the can a little more than I knew I should. The can felt a little heavy, but, at the time, it didn’t seem overly heavy. I had a back operation many years ago, so my back is not as stong as it could be. Anyway, I woke up the next morning almost unable to move. An emergency visit to the chiropractor (McTimoney, of course) helped, but not enough. 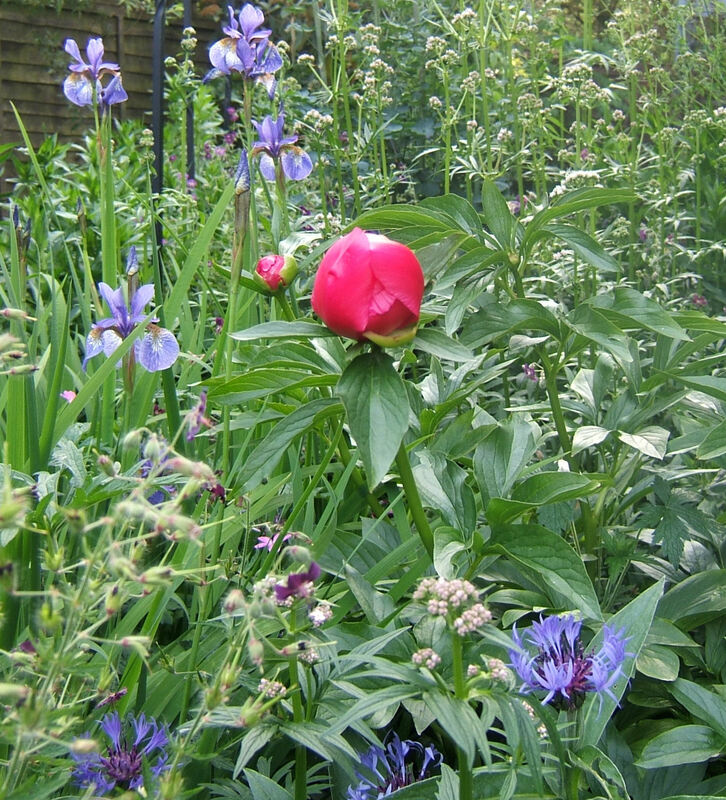 The first two days that the garden was open, I was flat on my back and had to rely on my husband to welcome visitors. Thank god I was ok for the last day. It was one of the visitors on that last day who first suggested that I should consider opening for the NGS and opened a new chapter in my life. 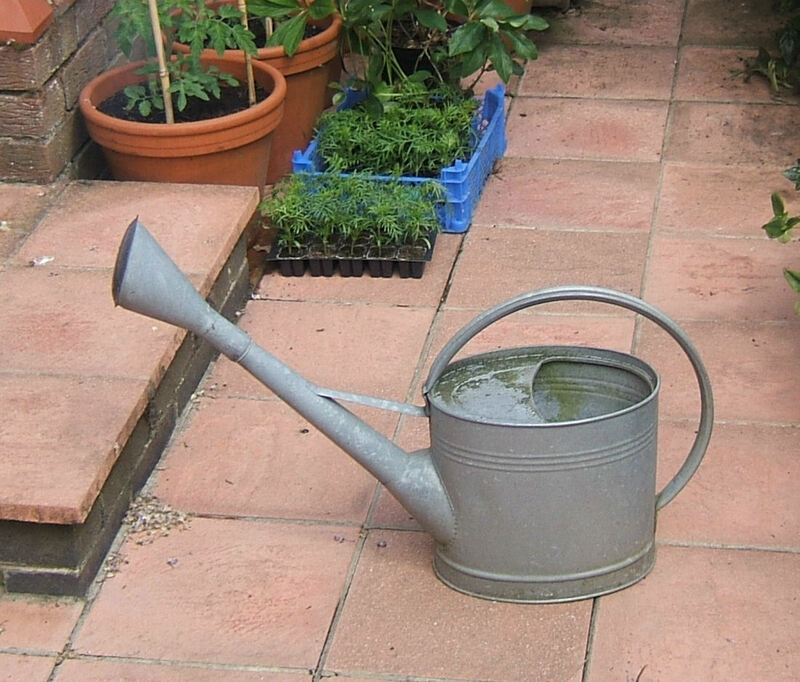 So flash forward over the next four years – I have remembered that incident and been careful about the watering can – until this year ………………………..
Last weekend, I overfilled the watering can again and ended back at the chiropractor again. So, for the last few days, I have been taking it easy. I have been getting help in the garden. The hose is pulled out and put away for me, and I just do the simple thing of holding it and pointing it at plants. Thank goodness the garden is pretty up together and there is only a little bit to do before next weekend. So, I have been able to just stare at my garden and make metal lists of the jobs to be done. It is amazingly liberating to be able to plan what needs to be done and not feel as if you should just get on and do it. So, I’m going to be pretty busy next week – I just hope the weather is kind to me.